It’s easy to admire the obvious beauty of a freshly blooming rose, a cloudless blue sky or a panoramic view from a mountaintop. Yet I’ve found sometimes beauty is where I least expect to find it: hiding in the mire and the muck, buried within the forgotten locations, concealed by what is seemingly rotting and decrepit. 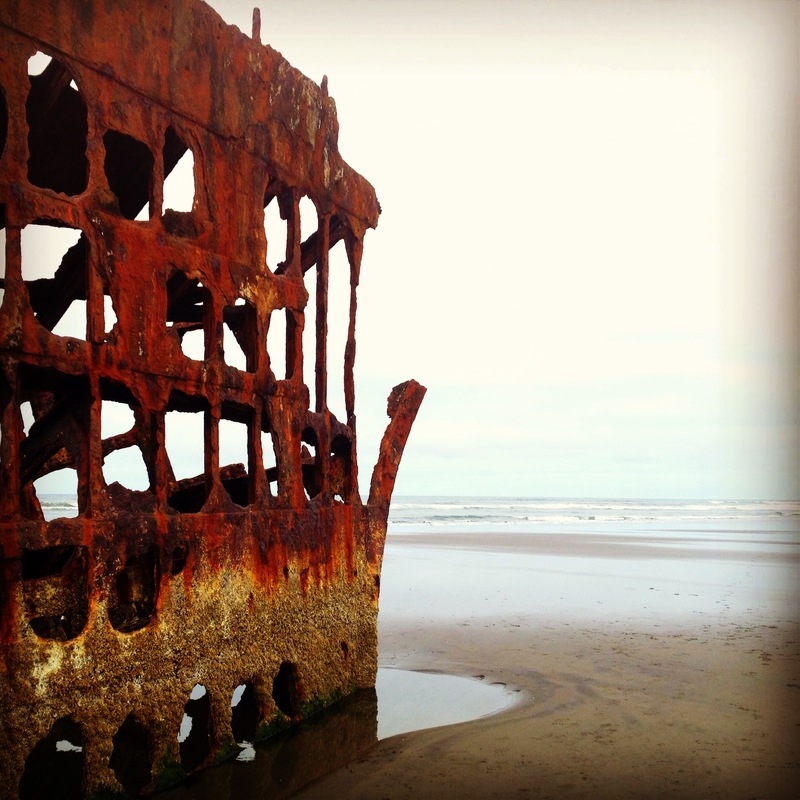 What remains of the Peter Iredale. 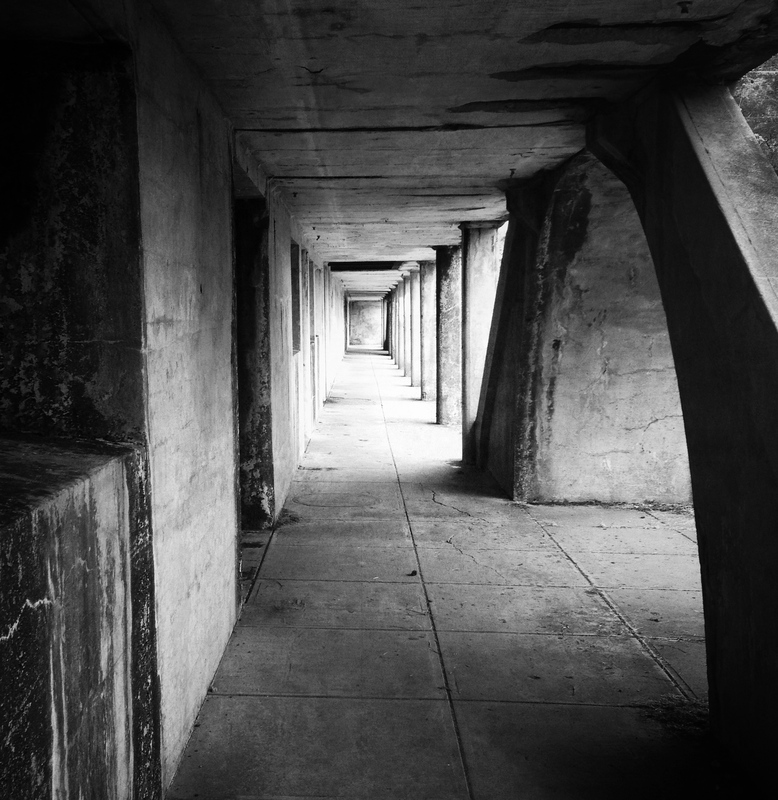 Battery Russell at Fort Stevens State Park. Where did you see beauty today? 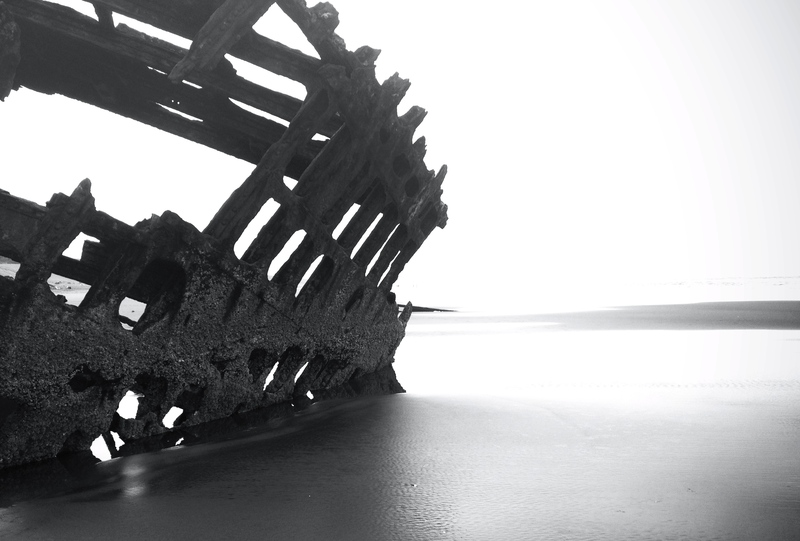 Posted in life, northwest, photographyTagged battery russell, beach, beauty, black and white photography, decay, fort stevens, Northwest, oregon, peter iredale, photo, photography, pictures, ruins, shipwreckBookmark the permalink. Interesting images of it, love the top B&W. 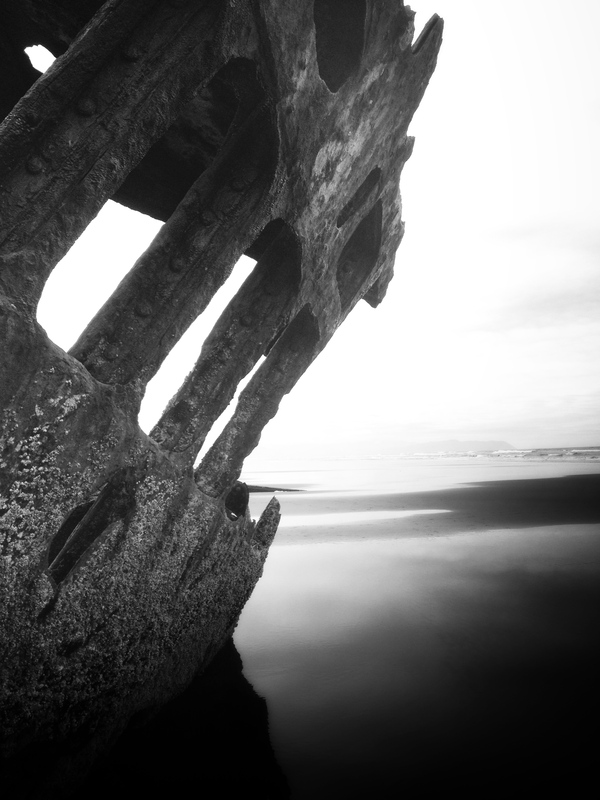 It’s an interesting wreck to see! Thank you!